A few weeks ago we wrote a blog about the risks of spear phishing email attacks that can leave your company vulnerable to cyber attacks. A seemingly harmless email from someone you trust shows up in your inbox with an attachment. Unsuspecting employees click the link or download the file and suddenly the whole network is compromised. Back in the old days email was the most vulnerable part of a company's defense system. However, today we have another culprit: Social Media. Everyone is on social media, according to in depth statistics, there are about 1.6 billion social media users worldwide. Facebook, twitter, and Instagram are some of the most popular, and all can leave you vulnerable to cyber attacks. Here are a few ways people can take advantage of your social media presence to download harmful viruses onto your (and your friends) computer. Like-Jacking: This is when spammers post fake Facebook ‘like’ buttons to a friendly webpage. You’ve probably seen these on blogs or other social sites. When you click on these ‘like’ buttons, you aren’t liking the page, you are downloading malware. Link-Jacking: This can happen anywhere on the web, not just on social media. It is the practice of redirecting links on a web page to a different location which ultimately leads the unsuspecting user to a virus. 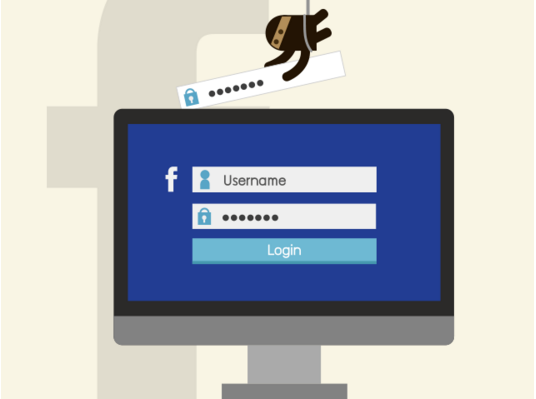 Phishing: This harmful practice is targeted at gathering your credit card details, emails or even Social Security numbers by masquerading as a trustworthy entity in a Facebook message or tweet. For example, someone will post a tweet with a bad link that looks harmless, and the unsuspecting user will click on it and download a virus on their computer. Social Spam: This is a type of internet attack that we are all familiar with. It can take the form of aggressive comments, hate speech, excessive commenting or even posting on your profile with obvious ads. The links included in these are often fake spam and will download a virus onto your computer. So be careful when you are using Social Media. Make sure all of your employees are aware of the dangers and how to spot them. Potentially include a ‘No Social Media Policy’ at your company to head these dangers off at the pass. However, the most important thing you can do to prevent these kind of attacks is hold a training session at your next team meeting , and of course if you discover you have been the victim of an attack, respond quickly and efficiently. If you are unable to do this yourself, Pagoda Technologies is always here to help.